Once upon a couple of years ago I reached into a cookbook Chef Brian gave me for Christmas and took a stab at his waffle recipe. It was through this recipe that I learned the very important distinction of weight vs. volume — needless to say I chose the wrong measurement and ended up with super-flat waffles. Thankfully, it doesn’t matter if pancakes are flat because, you know, they’re supposed to be. 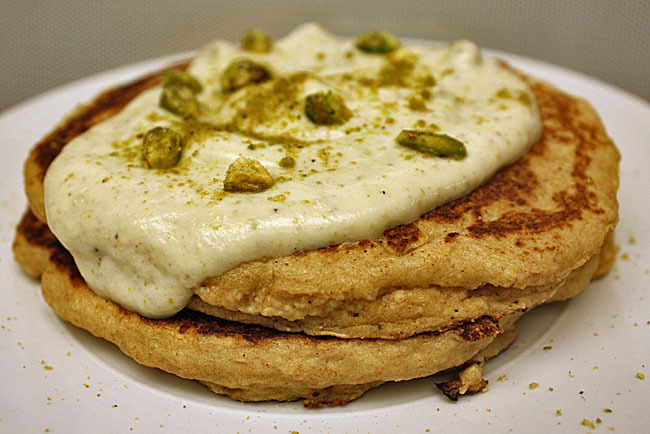 Here’s the idiot-proof recipe (don’t hold me to that) for Week 26, Meal 1: Orange-ricotta pancakes with honey-pistachio yogurt. 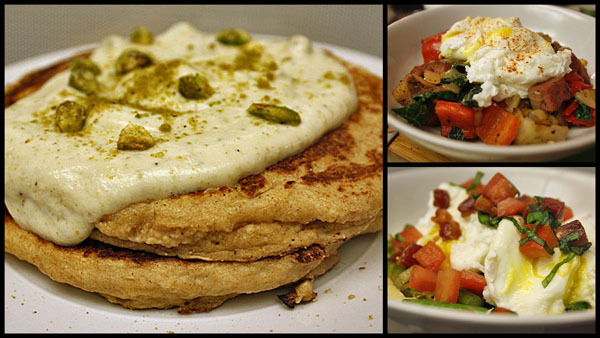 I live in a world where my wife thinks it’s crazy to eat breakfast — my favorite meal of the day — for dinner. So, take it from me, it’s a big-f’n-deal when I get some BfD. It’s an even bigger deal when Chef Brian is in charge of the menu because he’s just as good at making yummy morning fare as he is at crafting dressed-up dinners. 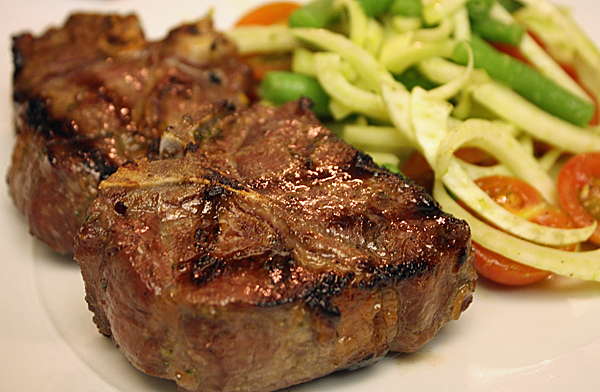 Week 22, Meal 2: Cop these lamb chops! I’m always asking Chef Brian for simpler recipes. Part of it is because I’m lazy, and part of it is because I’m not the quickest cook. So any recipe that allows me to come home, put in a little bit of work and enjoy the spoils of a better-than-drive-thru dinner is the kind of meal I’m really in to.